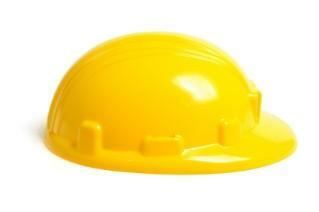 Reading Bob the Builder books is a great way to get kids interested in reading. The characters are familiar faces from the television show, offering children a chance to read about their favorite friends. The television program Bob the Builder focuses on the central character of Bob, who has a construction crew made up of equipment and machinery that talk just like humans. The machines have child-like tendencies, with Bob acting as a paternal figure who guides them in their daily life. Lessons on the show are often simple, such as working together, socialization skills and dealing with emotions. The main line from the Bob the Builder show is when Bob asks his equipment "Can we do it?" and the machines answer "Yes we can!" Each piece of machinery has a unique personality and most have a frequently repeated phrase, too.Bob's business partner is Wendy, who helps in the office and with projects. Farmer Pickles is a human character who often has work for Bob. Many other friends, neighbors and clients are also involved in the series. Animals are also included in the series, including Pilchard, Bob's cat. Spud, a talking scarecrow, has a mischievous streak that often gets him into trouble. Choosing a book with characters that children recognize is a great way to get them excited about reading. Young children enjoy reading books with their parents and, as they get older, to themselves about their favorite characters. While books about Bob and his machines are not necessarily the best children's literature books, they are good books to help struggling readers, since the children are often familiar with the characters and storylines. Let's Count! helps children learn to count from 1 to 20. Bob's Busy World is perfect for preschoolers who want to take an active role in reading with their parents. Bob's A to Z Word Book helps youngsters learn their letters. Bob's Busy Wrench is a shaped board book all about Bob's wrench, and is perfect for toddler-aged children who love Bob. Mucks' Sleepover is a good book for children to read who are going on their first overnight sleepover or who are afraid of the dark. Wendy Helps Out offers children a ready-to-read option that includes small pictures in the text to help pre-readers understand the basics of reading. The plotline in this book involves Bob getting sick and Wendy helping him out. Where's Pilchard? is a lift-the-flap book that has Bob and his machines looking for the missing cat. Collections of favorite Bob stories are also available. Try picking up Bob's Favorite Fix-it Tales or Bob's Big Story Collection to get several titles all bound in one book. Kids who are beginning to read might enjoy A Bob the Builder Ready-to-Read Boxed Set, which includes six stories. The Bob the Builder official website has a number of fun games and coloring pages for kids and their parents to do with Bob and his friends. Besides the great projects and information on characters, there are also a few books to read online for free. Simply click on the "Activities" pliers and the scroll down to the "Stories" section to find online stories about Bob and his friends.